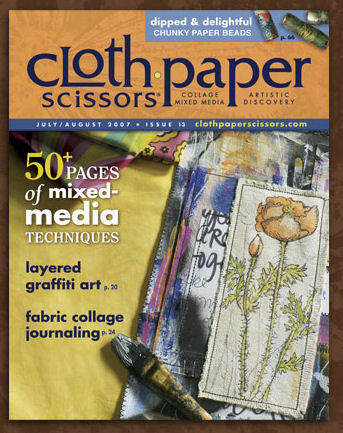 Yes, that’s me in Cloth, Paper, Scissors! Yep.. That is yours truly in the new issue of CPS magazine! Next week, I promise to tell you all about it (so it gets the proper time it deserves!).. in the meantime… who wants to do the happy dance with me? WOW….what an accomplishment…name on the cover and all?? You rock!! Congrats! I blogged about it yesterday! Congratulations! I was so happy to see you in CPS that I did a happy dance at Barns&Nobles! Your article is wonderful! I can’t wait to try your clever techniques. Wow, Chrysti! TOO cool! I didn’t even realize that was you…I’ll have to go back over the article again! Congrats! I can’t wait to hear more about it! Woohoo I’m doing the happy dance for you!!!! Hugs to my professional Friend !!!!!!!!!!!!! Chrysti, congratulations!! One of my favourite magazines too! Your little book looks divine. can’t wait for my issue to come now! Congrats! i’ll do a little happy dance with you…that is fantastic and congrats!!! Huge congratulations. Somebody else I know just got invited to write for them! I am totally going out and getting that issue. I love your skinny book! 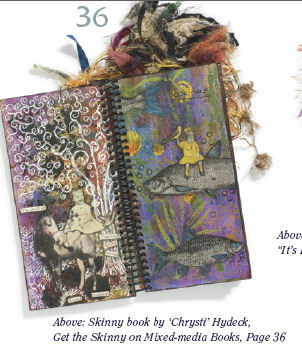 I want to make a skinny book! It might be my only relationship with skinny! Congratulations!!! Happy dancing is taking place in Scotland. I was dancing when I first saw it – I somehow just knew it was you! Congratulations! Your work is lovely. WOW! I just bought this the other day and thought it was SOOOOO cool when I was flipping through it…didn’t even read it yet…but I am going to find it now…CONGRATS! Happy dancin’ for you! !